Eastport Spar & Rigging provides the full spectrum of sailboat rigging services. 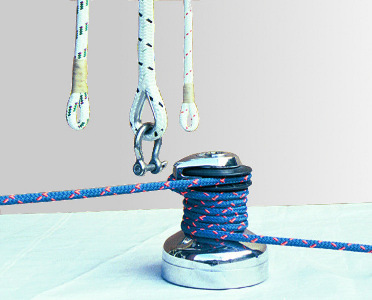 Ask us your rigging questions or send us a work request. Repairs or replacement, swaging and nicopressing service, mechanical fittings installation and rod rigging service. Stepping and un-stepping of spars, indoor storage, sales, installation, service and repairs. Replacement & installation, splicing & serving, ground tackle, halyards, sheets, lazy-jacks, block and tackles, etc. From the masthead to the step, including chainplates, spar components and deck gears. Hardware removal, upgrading, replacement and rebedding. Rigging upgrading for blue-water sailing. Leak treatment and bedding work and resealing. Installation and repair of bearings, shafts, pennants and steering cables. We can prepare your rig for shipping out of state.